You don’t have to look far to see how ubiquitous video now is in all of our lives. You’re seeing it on your screens, on the streets, on websites, in search results. The move to video communication is as fundamental a shift as the move from typewriter to computer keyboard. It is now an essential and necessary media channel, regardless of your industry. Just as important though is your ability to leverage the tremendous opportunities video offers and tailor them to your specific goals. With a seemingly endless array of complicated visual options, it’s hard to know where to start. 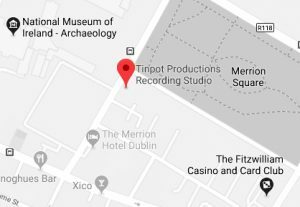 Based in the heart of Dublin City, we are an established boutique production facility with 15-years experience and an impeccable record in delivering creative . AND engaging visual, audio, and online content. We start with your desired result and reverse engineer a video solution. It might be a corporate video, green-screen presentation, an animated explainer video, or something entirely out of the box. We’ll keep the annoying details and complicated jargon at arm’s length so your time is focused and beneficial. Whether it’s in our dedicated production hub, onsite at your location, or anywhere else – we’ll turn your idea into a visual story.